We're selling Wing Chun Kung Fu Practice Tools. 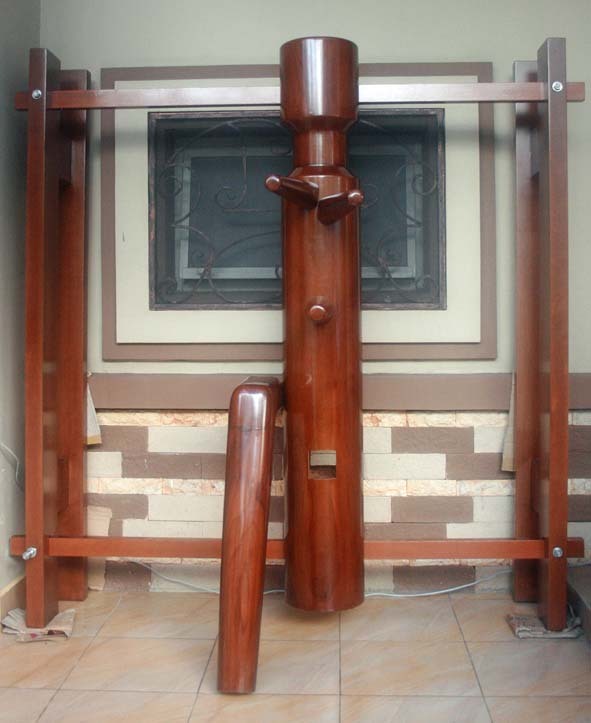 We're selling the Wing Chun Wooden Dummy in modified design by the late GM Kang Sin Sin. 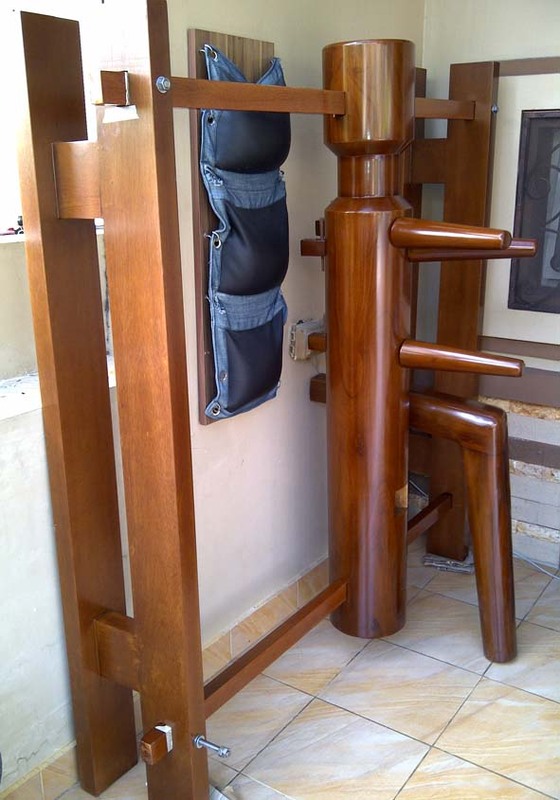 The Wooden Dummy of the late GM Kang is following the Ip Man's Wooden Dummy design (wall type Wooden Dummy) with the exception that it has the neck form (so more human like, and to help Wing Chun Practitioner to practice movements such as Neck Grabbing, Fak Sao, etc.) and the top wooden bar which holds the wooden dummy hanging on the ground is located higher on the head of the wooden dummy. 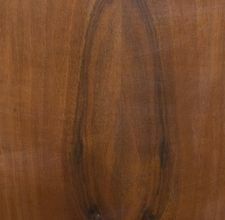 Our standard Body, Hands, and Leg are made from Teak Wood (aka. Kayu Jati. Very famous for its hardness, good wood pattern, and heaviness) and the wood bars (for holding the Wooden Dummy to the wall) are made from high quality Kamfer Wood. This material design configuration has been tested for more than 20 years and some of the late GM Kang's made Wooden Dummy using this material configuration are standing still until today. Our selection of woods is considerably some of the hardest and finest quality of wood in the world. Off course we have other higher quality wood that you can order for making the body of the Wooden Dummy (very limited supply and based on wood availability at the time of your order) such as Ebony Wood (heavy, harder than Teak Wood, dark color, and beautiful surface pattern) and Iron Wood/Kayu Ulin (heavy, harder than Teak Wood, but rather plain surface pattern). Beside wood material, our Wooden Dummy product can also be ordered in steel. All of our Wooden Dummy are Custom Made according to the height of the Wing Chun Practitioner. When you place an order with us, please inform us your body height and your height when you do the Yee Ji Kim Yeung Ma (or what we call the Pa Ce Ma) stance. Then we will start the design and fabrication of the Wooden Dummy according to your given information. Our late GM Kang's Wooden Dummy product is well known for its quality, material, workmanship, and not to mention precision. When you try our Wooden Dummy (if you reside in Jakarta, Indonesia), you can compare the quality and precision of our Wooden Dummy to any other made Wooden Dummy in the world. We open the order for inquiries from all over Indonesia. For inquiries from overseas, especially Singapore & Australia, we're still checking for the Export Permits and additional Cost. When you check our price of Wooden Dummy (based on your qualification), we will inform you the Ex-Work Jakarta Price. We'll start the fabrication of the Wooden Dummy after receiving 50% payment of your order by Bank Transfer / Cash. And the rest of the payment will have to be transferred / paid before the shipment. Normal production lead time is around 2 months after receiving your Down Payment. 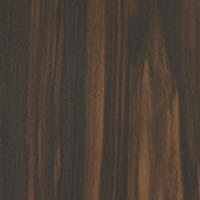 For more info on design, wood material selection, production lead time, and price, please contact us @ rio@kangswingchun.com or contact +62-811-180814. 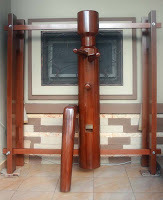 Below you can see the new Wooden Dummy with the late GM Kang Sin Sin's modified design (material: Teak Wood and Kamfer Wood). Please note that the Wooden Dummy's leg inside the picture hasn't been attached to the Wooden Dummy as it will be cut according to the height of the respectful buyer when it will finally be attached to the wall. Currently there are 2 color options for the IWCMAI Shirts, White and Black. Please decide the shirt size and color (White or Black). If you need the shirt to be shipped to your address, then please add Rp 10,000 per/address within Jakarta (if quantity is not so many, otherwise please contact us for further shipment fee clarification). But if you know someone that I can conveniently passed the shirt to, then no need to add the shipping fee. Otherwise, you may collect the shirt during training or by appointment. As the shirt will be made after receiving your order, then please wait for around 2 months to collect/receive your shirt. PS. : The Order of IWCMAI shirts currently will be reserved only to the member of IWCMAI, IWCMAI Honorary Fellows, IWCMAI Private Students, IWCMAI - Gold's Gym Class Students, and IWCMAI direct/non-direct affiliated Schools.